(1) A win is a win. I realize that's some deep and profound political analysis, but that's why they pay me the big bucks. Seriously, though, a loss would have been so much worse than a too-close-for-comfort victory. Sure, the House GOP conference would be down a seat, but the bigger problem would be psychological. Notching a second consecutive special election win in a fairly heavy (+11) Trump district would have been yet another shot in the arm to national Democrats. It would also have been a morale crusher for Republicans, whose fretting, demoralization and panic over a blue wave could at least partially spiral into a self-fulfilling prophesy. It could also have weighed on the minds of major conservative donors, who might be more inclined to close up their wallets in a hopeless-looking cycle. Narratives and optics matter, and Republicans seem to have averted a nightmare on both fronts by hanging on to this R+7 seat. (2) The Trump-Kasich alliance worked. Suffice it to say that the President of the United States and the Governor of Ohio, both Republicans, do not care for one another. But they each strongly endorsed Balderson in this campaign, combining their efforts -- albeit indirectly -- to pull their preferred candidate over the top. 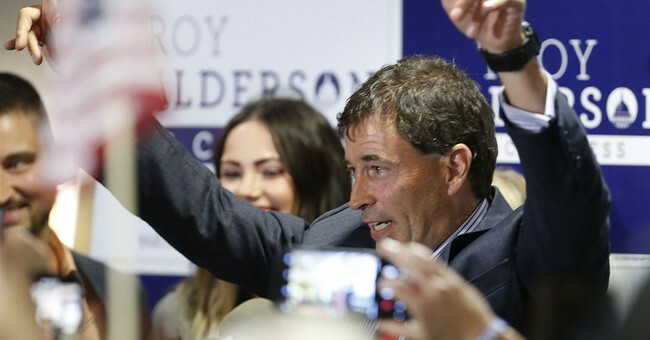 Trump juiced and energized the base, going all-in for Balderson with a rally and tweets last weekend, while Kasich helped close the sale with Trump-skeptical educated suburban voters. I'd submit that without the assistance from both Trump and Kasich, Balderson loses. But disparate elements of the party came together and salvaged the seat. I know people don't want to hear this, but at this point it doesn't really matter. OH-12 shouldn't be a nailbiter for the GOP, even with two solid candidates running. In case you missed it, here's his detailed, pre-election explanation of why a tight win in either direction would be a worrisome sign for the Republican Party. As I mentioned above, this is an R+7 district that Donald Trump carried easily. It's been in the R column for the last 36 years. The previous incumbent won with nearly 67 percent of the vote. Yet last night was nail-biter. (2) Democrats gained considerable ground. In spite of the GOP's not-quite-official win, last night's vote tally represents the latest data point in a long string of 2017 and 2018 elections in which Democrats' share of the vote total has increased by double digits over 2014 and 2016. As I alluded to in the bullet point above, the Republicans' margin of victory in OH-12 in 2016 was 37 points. On Tuesday, it was a hair under one point. That is not a happy trajectory for the party, as it points to strong Democratic candidate recruitment, robust Democratic enthusiasm, disillusionment among a segment of traditional Republican voters, and a hostile national climate. If this district had been even fractionally less red, it could now be in Democratic hands. A modest winner last night: NRCC Chair Rep. Steve Stivers. If Dems couldn't win #OH12 under ideal circumstances, hard to see how they compete in #OH15 (also PVI R+7, but wider Trump margin & Stivers got 66% in '16).